Walker helped me make these muffins, which made me quite happy. 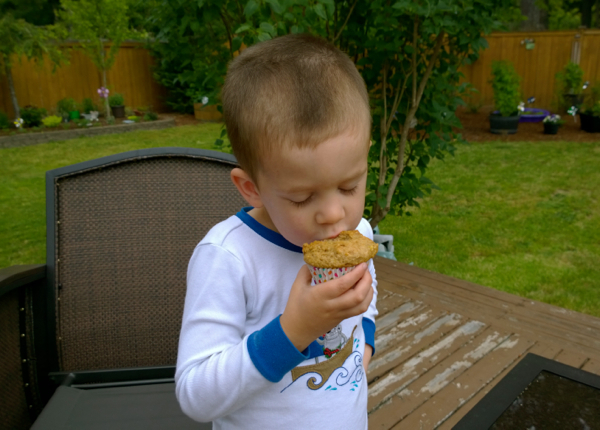 He helped measure out everything, found the muffin tin and was Mommy’s lil’ taster of course. It was nice for the two of us to be back in the kitchen, creating again. Preheat oven to 350°, line a 12 count muffin tin with liners. Whisk flour through sea salt in a small bowl. In a large bowl, whisk remaining ingredients. Add in dry, stir until just mixed. Divide batter between muffin cups, they will be mostly full. Bake for about 20 minutes, or until lightly golden on top and a toothpick comes out clean in the center. Let cool before transferring to a cooling rack. 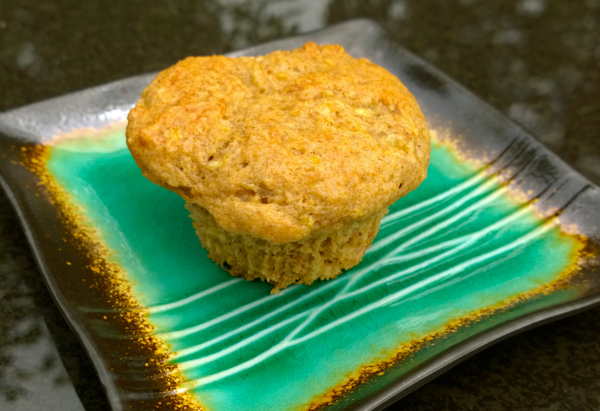 Leftover muffins freeze well.